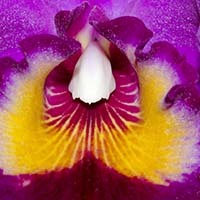 Welcome to the Austin Creek Orchids website! We are located a short distance north of San Francisco in the heart of Sonoma County - home of fine wines, dairy cows, redwoods and scenic coastlines. The orchid bug first stuck me in my early teens, when I discovered a commercial Phaleonopsis grower in the Phoenix area where I grew up. After moving to the San Francisco Bay area in 1976, I quickly became acquainted with Rod McClellan's orchids in South San Francisco and it wasn't long until my kitchen window was brimming with orchids. A move to Santa Rosa (Sonoma County) in 1989, afforded an opportunity to house my rapidly growing orchid collection in a backyard greenhouse. After the first greenhouse and then the second greenhouse became full, it was time to begin looking for new options. In 1999, we completed construction of a new greenhouse (and home) in Petaluma - the future site of Austin Creek Orchids. Austin Creek Orchids is a manifestation of my long-term passion for Orchidacea. I am always looking for new and interesting varieties to add to the Austin Creek collection. I am pleased to share them with you. The plants offered here reflect my varied and sometimes eclectic tastes. Hopefully, you will find things that appeal to you as well.